This article was last updated Dec 03, 2018, but some terms and conditions may have changed or are no longer available. For the most accurate and up to date information please consult the terms and conditions found on the issuer website. Capital One and Discover are large financial companies that have been around since the mid-1980s. They both provide financial products such as bank accounts and loans to consumers, as well as a wide selection of credit cards. 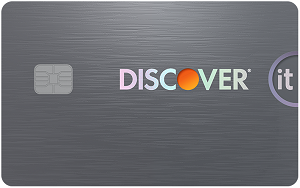 Discover is known for introducing the first cash rewards credit card to the market and operates Diners Club International, a direct banking and payment services company. Capital One is one of the top 10 largest banks in America, based on deposits*. Capital One offers products to consumers, small businesses and commercial clients, while Discover offers products to consumers. Discover does not have branches — in some states Capital One does: Discover describes itself as an online financial services company. This means that you can’t walk into a Discover branch and talk to a representative. Capital One has branches in Connecticut, Delaware, Louisiana, Maryland, New Jersey, New York, Texas, Virginia and Washington, D.C. Depending on your preferences and where you live, you may be able to visit a Capital One branch. Acceptance: Discover cards are not as widely accepted as Capital One cards. It’s smart to have a backup non-Discover card when you make purchases in case Discover isn’t accepted, especially abroad. Capital One credit cards are backed by Visa or Mastercard networks, which are widely accepted. What cards does each issuer carry? Capital One and Discover both provide numerous credit cards that offer different benefits to a range of consumers. We have organized our recommendations based upon how you plan on using the card. Note: Each issuer has multiple cards in the following categories; we listed our top picks. (3,924) Over the Past 60 Days! 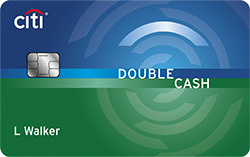 Both cards offer good cash back options that suit a variety of customers. 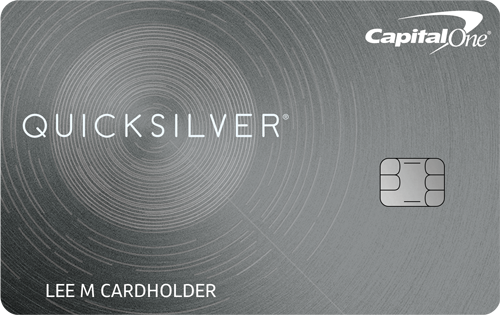 Depending on your spending habits you may prefer the unlimited, consistent cash back of the Capital One® Quicksilver® Cash Rewards Credit Card, or the quarterly rotating bonus categories of the Discover it® Cash Back. Capital One offers a flat 1.5% cash back on every purchase, every day, on all purchases that is good for people who don’t want to deal with changing categories. On the other hand, Discover offers 5% cash back at different places each quarter like gas stations, grocery stores, restaurants, Amazon.com and more up to the quarterly maximum, each time you activate, 1% unlimited cash back on all other purchases - automatically. The Discover it® Cash Back is a good option for people who want to do the work to earn the high 5 percent cash back. Discover and Capital One each have credit cards in addition to these with cash back options. (866) Over the Past 60 Days! The Discover it® Balance Transfer card offers a longer intro period than the Capital One® VentureOne® Rewards Credit Card — 0% for 18 months (after, 14.24% - 25.24% Variable APR) vs. 0% intro on purchases for 12 months (after, 14.24% - 24.24% (Variable) APR). This is a big difference, and Discover can save you substantially more money, provided you pay off the balance before the end of the intro period. 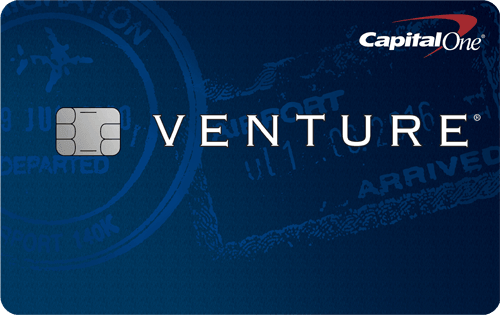 The Capital One® VentureOne® Rewards Credit Card does not offer a balance transfer intro period. It only offers 0% intro on purchases for 12 months (after, 14.24% - 24.24% (Variable) APR). Capital One does offer an introductory 0% balance transfer, though: The Capital One® Quicksilver® Cash Rewards Credit Card has a 0% intro on purchases for 15 months and 0% intro on balance transfers for 15 months (after, 16.24% - 26.24% (Variable) APR). Discover and Capital One also have additional 0% intro APR offers. (487) Over the Past 60 Days! The Discover it® Miles card offers a higher rewards rate than the Capital One® VentureOne® Rewards Credit Card. Discover offers unlimited 1.5x miles per dollar on all purchases, every day and Capital One offers 1.25 miles per dollar on every purchase, every day. Both cards have no annual fee, unlimited miles, and no blackout dates. The main difference besides the rewards rate is in the intro bonus. Where Discover will match all the miles you’ve earned at the end of your first year, Capital One will give you a one-time bonus of 20,000 miles once you spend $1,000 on purchases within 3 months of account opening, equal to $200 in travel. If you plan on spending more than $6,667 in your first year, then the Discover intro bonus would win. Both rewards systems have a redemption rate of 1 cent per mile. If an annual fee isn’t a deal-breaker for you, then you may want to consider the Capital One® Venture® Rewards Credit Card. It offers 2 miles per dollar on every purchase, every day, as well as a one-time bonus of 50,000 miles once you spend $3,000 on purchases within 3 months from account opening, equal to $500 in travel. The annual fee is $0 intro for first year; $95 after that. The Capital One® Secured Mastercard® and Discover it® Secured are tools that can help you raise your credit score, when used responsibly. These cards differ in several ways. With Capital One, you may qualify for a lower security deposit (either $49, $99 or $200) than Discover (minimum deposit is $200). 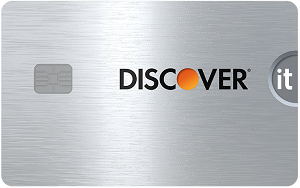 The Discover it® Secured card offers a cash back rewards program ( 2% cash back at gas stations and restaurants on up to $1,000 in combined purchases every quarter, automatically. 1% unlimited cash back on all other purchases. ) and monthly reviews of your account, starting at eight months, to see if you can move to an unsecured card. This is unique to Discover and will ease the transition to an unsecured card. Capital One, on the other hand, may give you access to a higher credit limit without an additional deposit if you make your first five monthly payments on time. 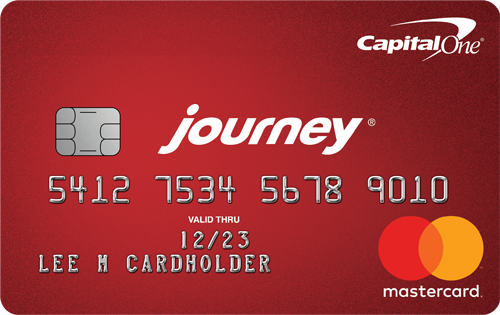 The Journey® Student Rewards from Capital One® card offers a 1% cash back on all purchases; 0.25% cash back bonus on the cash back you earn each month you pay on time. If you plan on paying your bill on time and don’t want to deal with rotating cash back categories, then the Journey® Student Rewards from Capital One® card is for you. If you want to earn a high cash back rate on quarterly bonus categories, then the Discover it® Student Cash Back card will be better. This card offers 5% cash back at different places each quarter like gas stations, grocery stores, restaurants, Amazon.com and more up to the quarterly maximum each time you activate, 1% unlimited cash back on all other purchases - automatically. In addition, the Discover it® Student Cash Back card offers rewards for students with good grades, and a cash back match at the end of your first year. Discover has another card for students, as well: The Discover it® Student chrome where cardholders earn 2% cash back at gas stations and restaurants on up to $1,000 in combined purchases each quarter. 1% unlimited cash back on all other purchases - automatically. It’s clear that Capital One is the winner here. Discover does not offer any small business credit cards; meanwhile Capital One offers five. 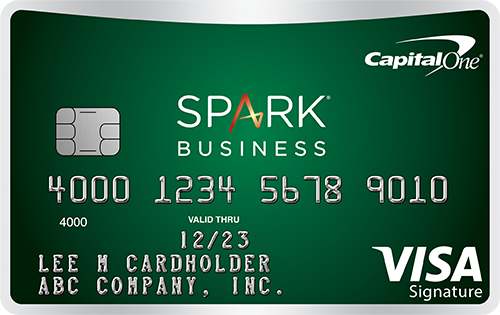 The Capital One® Spark® Cash for Business card offers 2% cash back for your business on every purchase, everywhere. There is a $0 intro for first year; $95 after that, but if you spend $4,750 annually after your first year, you will earn enough cash back to recoup it. This card is a great way for you to earn cash back from everyday business purchases. Other Capital One business card options include ones with no annual fee, travel rewards, new-member bonuses and a card for business owners with average credit. Both Capital One and Discover offer convenient online applications that you can complete in minutes. When you apply be sure to have your Social Security number and key financial information handy, including annual income and monthly rent or mortgage payment. This will allow the issuer to access your credit history and make a decision. In addition, Capital One will ask if you have any bank accounts, and Discover will ask your total available assets. Can you prequalify without hurting your score? Both Capital One and Discover allow you to prequalify for their credit cards. They perform a soft pull on your credit that does not hurt your score. This is a great way to see if you may qualify for a credit card without the hard credit inquiry* and damage to your score. Take advantage of this feature to shop around for the best deals. Who has the better customer service reputation? Discover has a great customer service reputation in part because of its 100 percent U.S.-based customer service representatives available 24/7 and multiple contact methods. You can contact Discover via phone or online chat. In the 2017 J.D. Power Credit Card Satisfaction Study, Discover outranked Capital One, 827 points to 808 (on a 1,000-point scale). Both ranked above the industry average of 802. Capital One offers 24/7 customer service via phone as well as email responses in one to two business days. There is no online chat or messaging feature available, limiting your communication options. Does it matter whether you choose Discover or Capital One? There are several points to consider when choosing between Discover and Capital One credit cards. Because Capital One cards are served by either the Visa or Mastercard networks, you’re much more likely to have worldwide acceptance when making purchases. Fewer merchants accept Discover products, especially outside of the U.S. This limits the use of your Discover credit card. If you are someone who travels abroad and are choosing between a Capital One and a Discover card, a Capital One credit card will be more widely accepted. If you own a small business, you have numerous Capital One business credit cards to choose from. Because Discover does not offer any business cards, Capital One is hands down the better of the two for small business owners who want a specialized credit card. As a consumer, you’re bound to need to contact customer service at some point. Discover’s instant messaging features are very convenient and are great for people who don’t like talking on the phone or are multitasking. With Capital One you have phone and email options, though email responses take one to two days. If messaging options are a must for you, then Discover is the credit card to get. No matter which issuer you go with, it’s important to have an understanding of the following common credit card terms prior to applying for a credit card. Can you hold more than one card? Yes, you can have more than one credit card. You most likely won’t be approved until you’ve had your first card for a year, company representatives told CompareCards. 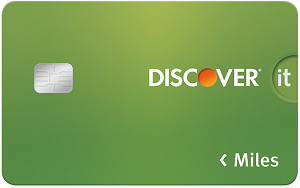 The limit on the amount of Discover credit cards you can have is two. Yes, you can have more than one card. There is no minimum amount of time you have to wait before applying for your second card, company representatives told CompareCards. However, if you apply for an additional card that requires excellent credit, you may not be eligible if you have five Capital One credit cards, and if you apply for a card requiring average credit, you may not be eligible if you have two Capital One cards. In addition, if you’ve been rejected in the past six months or have another application pending, you may not qualify for an additional card. What online or mobile account options are there for credit card users? Are there any options for people with bad or fair credit? Both Discover and Capital One offer options for people with bad or fair credit. 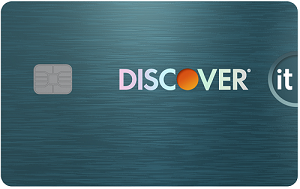 Discover offers the Discover it® Secured for Poor/New . 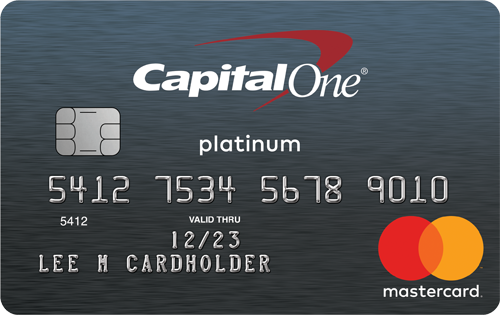 Capital One offers three cards: the Capital One® Platinum Credit Card (Average/Fair/Limited credit), Capital One® Secured Mastercard® (Limited/Bad credit), and Journey® Student Rewards from Capital One® (Average/Fair/Limited credit). If you have bad or fair credit, you may have a better chance qualifying with these cards compared to others. 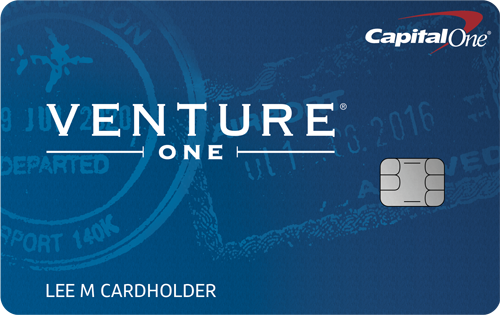 Remember, both Discover and Capital One allow you to check if you’re prequalified before applying for a card.